The job was a small hall bathroom. 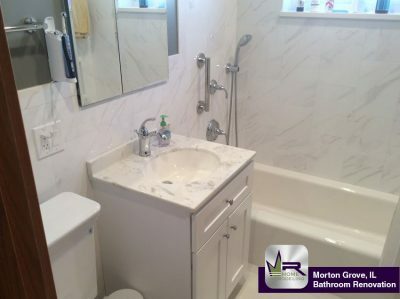 The owner wanted a complete redo, making the small space seem more spacious by giving it a clean, modern look while maintaining the existing arrangement of fixtures. Regency installed a new Archer bathtub and Delta shower system in chrome from Studio 41. 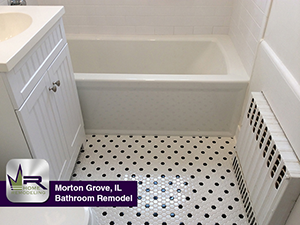 Next we installed beautiful floor to ceiling subway tiles in white.